Johannes Remy. Higher Education and National Identity: Polish Student Activism in Russia, 1832-1863. Lalande, J.-Guy. 2006. “Johannes Remy. Higher Education and National Identity: Polish Student Activism in Russia, 1832-1863.”. 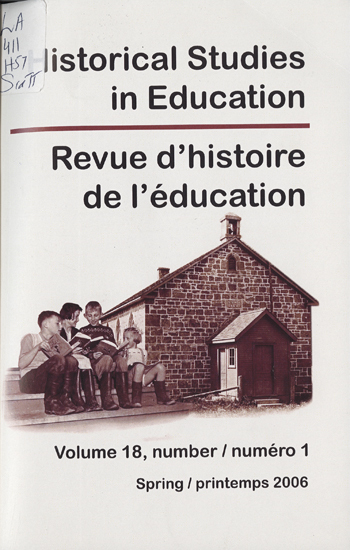 Historical Studies in Education / Revue D’histoire De L’éducation 18 (1), 112-13. https://historicalstudiesineducation.ca/index.php/edu_hse-rhe/article/view/410.